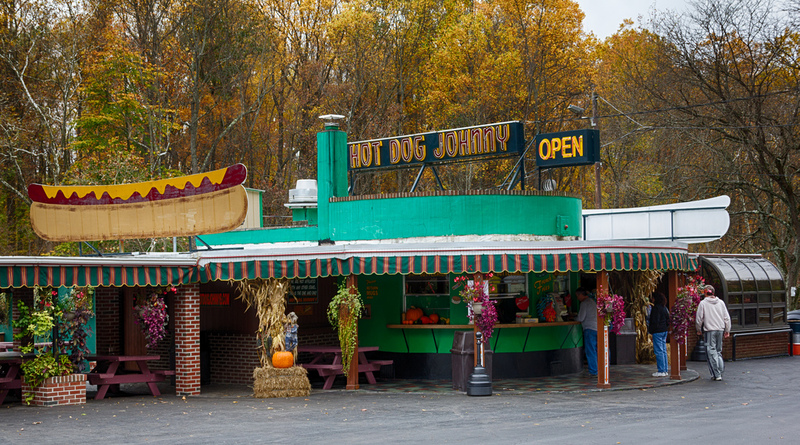 Family owned and operated since 1944, John Kovalsky founded Hot Dog Johnny’s thus earning himself the new nickname. John and his wife Louise ran Hot Dog Johnny’s in it’s early days from a small modest stand to its current state as a sixties independent roadside stand. Although both John and Louise have passed on, their legacy lives on. A very hard working man, who believed the only way to make an honest living was to work hard for it, stood behind his words as he worked in the Dover mines in the day and the Hot Dog Stand at night. He strongly believed anything was possible with the right kind of support which he always credited his wife Louise with. and 31 in Warren County, NJ. It wasn’t long before John Kovalsky knew he outgrew the space he occupied thus leading him to buy land along the Pequest River on Route 46 not far from the original location. A man with great vision, he built a hot dog stand not only to provide the best food services possible but also to provide an atmosphere for families to meet and enjoy for years to come. The testimonies of customers over the years prove Hot Dog Johnny’s visions were on target as they tell stories of coming to Hot Dog Johnny’s as kids with their parents and now come as parents themselves with their own children. It’s a meeting place for family and friends, a fun place for kids to ride on the swings and whether your having your meal at the tables on the patio or on the grass by the river one thing is for sure your experience at Hot Dog Johnny’s will be a memorable one for years to come. 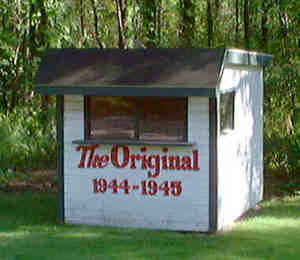 The original stand is still displayed with pride on the grounds of the present Hot Dog Johnny’s property. The business is currently being operated by Hot Dog Johnny’s daughter Patricia Fotopoulos who has been involved with the business since it opened in 1944. At 8 years of age Pat stood on crates handing out sodas. Today she stands proudly handing out the best Hot Dog’s ever to the most loyal customers ever. 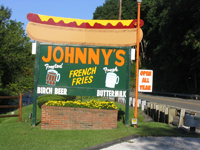 Hot Dog Johnny’s has been sited by the Travel Channel as being one of the most popular roadside stands across the country, and has also been featured in many major newspapers across the country.